ALERT: DURING OUR CUSTOMER APPRECIATION WEEK THE APPLICATION & SERVICE FEE IS DISCOUNTED TO A DONATION OF THE CUSTOMER'S CHOICE! Please Note: The discounted price expiration date is subject to change daily. NOTE: All Premium Package clients are required to pay a security deposit or risk fee to their chosen management company/landlord or to their assigned corporate guarantor. This fee will range from $400.00 to Equal to the amount of rent depending on the client's unique case details. All fees paid is backed by a 100% Money Back Guarantee if the client isn't fully approved into a rental property. Rental Preapproval Package: The Rental Preapproval Package is a professional document presentation that entails a letter of recommendation, full rental application, rental history details, copy of our client’s credit history, household income details, and criminal background information. The Rental Preapproval Package is presented to our client’s chosen rental properties or corporate guarantors to review and make a preapproval decision based on our client’s details. The purpose of the rental preapproval package is to give potential management companies, landlords, or corporate guarantors a summary and review of our client’s full rental details to make a strong preapproval decision without our client being required to pay ridiculous application, admin, or processing fees. Assigned Case Manager: The case manager works directly with the client and markets the client's Rental Preapproval Package to their chosen rental properties and/or corporate guarantor's in our network that can secure the approval at the client's selected rental property. Even if the client has credit issues, our case managers are highly trained to aggressively negotiate directly with management companies, landlords, and corporate guarantors to win an approval for our clients. Select 3 to 5 Rental Properties: The client will be provided with a list of free online housing search tools, we also welcome the client to use their own resources, to pick between 3 to 5 rental properties they would like to consider. The Case Manager Presents the client's Rental Preapproval Package to Property Managers, Landlords, or Corporate Guarantors, then Selects an Approval Strategy. Finally, the case manager starts the Negotiation Process to secure the approval: Once we have the list of the client's chosen rental properties our case managers researches the rental property standard approval qualifications, then executes a personalized strategy and negotiation process to get the client approved at one of their chosen rental properties. NOTE: All Premium Package clients are required to pay a security deposit or risk fee to their chosen management company/landlord or to their assigned corporate guarantor. This fee will range from $400.00 to Equal to the amount of rent depending on the client's unique case details. All fees paid is backed by a 100% Money Back Guarantee if the client isn't fully approved into a rental property. QUESTION: How exactly does my case manager secure an approval on my behalf at my chosen rental property? Negotiating Directly with the Management Company or Landlord on Behalf of the Client. Corporate Leasing - Using Business Credit to secure the approval with a corporate guarantor referral. Locating Second Chance Friendly Management Companies or Landlords. QUESTION: Will I be required to pay any security deposits or risk fees to management companies, landlords, or corporate guarantors? Answer: YES! Although our case managers are trained to take every step possible to avoid the client being required to pay any extra security deposits to secure the approval at their chosen rental property, our policy still requires all clients who sign up for the premium package to be prepared to pay a security deposit or corporate guarantor risk fee if that’s what it takes to finalize the approval at their rental property choice. Security deposits and Corporate Guarantor’s Risk Fees cost anywhere from $400.00 to equal to the amount of the client’s monthly rent. This allows the case manager to have more negotiating power when discussing the client’s case with property managers, landlords, or corporate guarantors to approve our client. QUESTION: What is a Corporate Guarantor? A business that has established excellent business credit and will use their credit to submit and sign a lease on behalf of our client under a corporate lease. A Second Chance Housing Program that has an exclusive contract or partnership with a management company or landlord which the client may use as a vehicle to secure an approval at their chosen rental property. A business that specializes in offering co-signing services for high risk renters. A Second Chance Housing Program that uses alternative methods to secure the approval at the client’s chosen rental property. QUESTION: How many Corporate Guarantors does RentalPreapproval.com have in its network? Answer: RentalPreapproval.com has an established network of over 500 Corporate Guarantors. Which is in part why we are the leading Second Chance Housing Locators in the nation. We value our relationship with corporate guarantors as equally as we value our relationship with our clients. QUESTION: What is RentalPreapproval.com Refund Policy? Answer: If the client is not approved at a rental property within 30 days while in our program the client will receive a 100% money back guarantee. However, this refund policy only applies to clients who give our team a fair opportunity to secure the approval at a rental property; which means the client provides all required paperwork and pays all required fees. The refund policy does not apply to clients who change their mind mid-way through the program or who found another method to assist in their housing needs while actively in our program. Please make sure we are the right Second Chance Program for you before signing up for services. The assigned case manager and the client collectively searches for local rental properties that matches the client's submitted housing preferences. 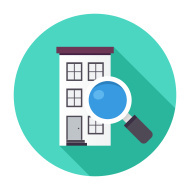 After the search produces matched results of available rental properties, the account manager then researches the rental property and matches the case with the most suitable corporate guarantor in our network to secure the approval on behalf of the client. The client's case is then transferred to a corporate guarantor in our network with their Rental Preapproval Package and list of selected Rental Properties. The client is then requested to schedule a tour date to view and pick their top rental property choice to start the application process.